Frank Capone came into the Jim McClure Nationals presented by the Carolina-Harley-Davidson Dealers Assoc. 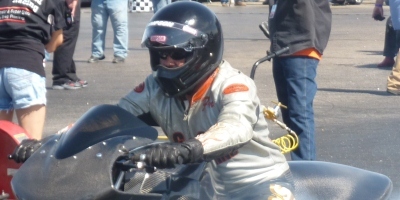 at Rockingham Dragway in the Piedmont area of N.C. in the sixth spot nationally. His goal, after winning Pro Rookie of the Year in 2010, was to place in the top five of the highly-competitive Pro Modified class. Coming into the Rock, Capone know he had to make a serious impact at the well-attended event. Capone and team, Mark Godin, Richard Murray, Lorne Buchanan and Mark Colburn were up to the challenge. After earning additional points for qualifying No. 1 in a full field of Pro Mod competitors, Capone went on to smash the old eighth-mile ET and MPH record with a 5.264 at 134.8 mph. The old quarter-mile ET record was 8.43 seconds and Capone ran as quick as 8.33. 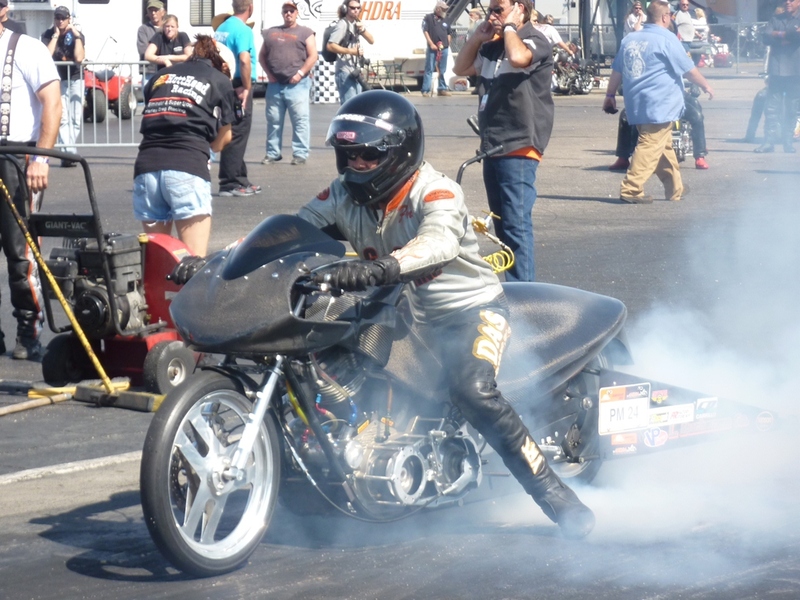 Capone also faired well in the Rush Racing Products Pro Gas Class this season. Capone Racing is hoping to carry this momentum through the winter for their sponsors and fans. Proud Capone Racing sponsors and friends supporting Capone’s record breaking season include: G&G Engineering, DAS Performance, L. Buchanan Co., Gannos Machine, Vanson Leathers and all the staff at Capone Landscape.